This is Baby O and her amazing mom. They have a very special story to tell. 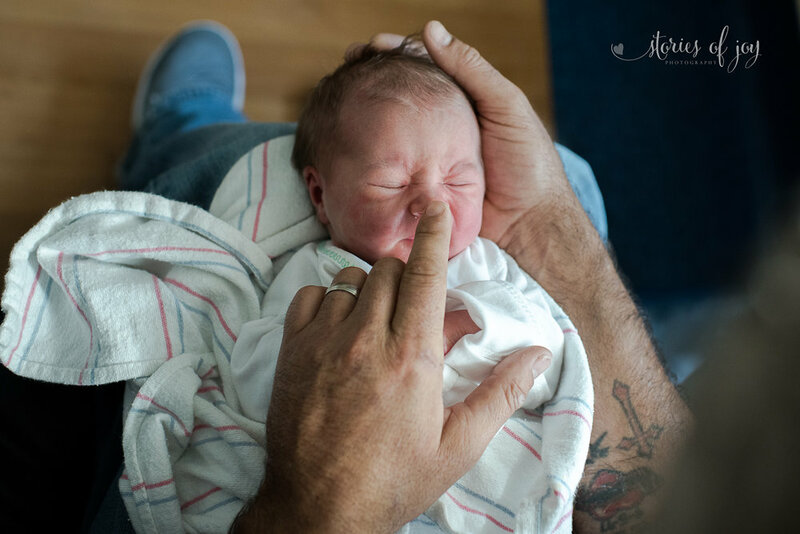 Last week I met mom and big sisters to talk about documentary birth photography. And very early on Wednesday morning I got the call, baby is coming! I had all my photography gear ready to go, and as I was stepping out the door to meet family S at our local hospital, the phone rang again. Baby O had been born in the car. On the way to the hospital. Delivered by dad, surrounded by both big sisters. Mom and baby were doing fine, but we obviously didn't get to do a birth documentary together. So, instead, on Thursday, we did a Fresh 48 Session at the hospital. Baby O was sleeping when I first got to the hospital, but she soon woke up, and calmly looked around her. She was very alert, and intently looked mom and dad in the eyes, and could definitely hear my shutter clicks, but seemed to take everything in stride. This family. Super heroes! Rock stars! These were my thoughts as they were telling me of their crazy morning the day before. And thankfulness. My heart filled with thankfulness. Our heavenly Father was watching over them the entire time. Everyone is fine. Actually, more than fine - this family is thriving! If you have followed me any time on social media, you know my passion is family documentary photography. I am a visual storyteller. To me there is nothing better than to document the real life as is, to help us remember everyday life for years to come. My specialty are the Day in the Life Sessions. I spend a whole day with the family, documenting their every day life, and then compile a movie documentary, and usually a photo book for the family, as well. 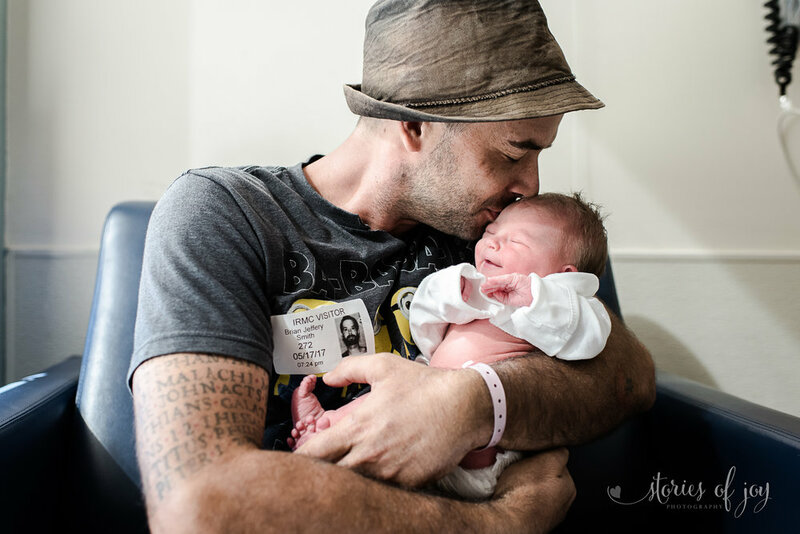 I am so excited to offer Documentary Birth Photography as well as Fresh 48 Documentary Sessions to families. These both are a wonderful additions to my documentary sessions, like the Day in the Life Sessions. Are you an expectant family? Would you like me to help you document this precious time in your life? In a blink of an eye life is in another stage. First birthday is approaching! Your baby is graduating from Kindergarten, and now headed to college (like mine)... Don't miss the early years! Please contact me to find out more about hiring me as your photographer! I will be back in Vero Beach to document births, Fresh 48 Sessions, Day in the Life Sessions and other Life Events this August. If you are in Virginia, New England or in Finland, please ask me about summer sessions! The earlier we plan and book, the better. Birth and Fresh 48 Sessions are a bit trickier to plan.